Written by FuSuSu on 18/08/2018. in Memory Improvement. Updated on 18/08/2018. Did you sometimes forget your passwords? Or some new foreign words you have learned yesterday? In the next ten minutes, you will get the SAMA technique, which will enable you to memorize the longest words in minutes, and be able to recall it weeks later. First, let’s try to memorize one of the longest words in the clip below. Well, you can forget all the things I have told you, but never forget this, “Nothing is impossible, when you have possible tools.” Honorificabilitudinitatibus, This is one of the longest words in English. Shakespeare used it in his work “Love’s Labor’s Lost.” It’s also listed in the Oxford dictionary. Now we will discover a secret formula that will help you memorize any word, with any length. And then we will look into other longest words. I\’m sure that you will memorize them easily, and make your friends surprised! What is SAMA? It is a 4-step process that will enable you to memorize any word, any length, includes the longest words in any latin language. If a word is too long, just split it into smaller parts. Then it will be easier to remember. Now it looks easier, right? To memorize something easily, the trick is to associate it with something that easier to remember. For example, we will associate each part of the long word above to something more specific and easy to visualize. At this step, the word has become so easy to memorize. However, you need the next step to make 100% sure that you will never forget it for weeks. A man is riding a Honda motorbike, looking for Origami in a Fiction book. After reading the book, now he can Use a Digital Item from North Island to transform the Titanic into a Bus and call it the Tatibus! Now, you should read the story that we’ve made again and try to visualize it vividly in your mind, then write down the original word (just comment and see how many letters you can remember now). Can you do that? If you can recall the word 100% exactly, reward yourself with a big clap (or just nod your head). 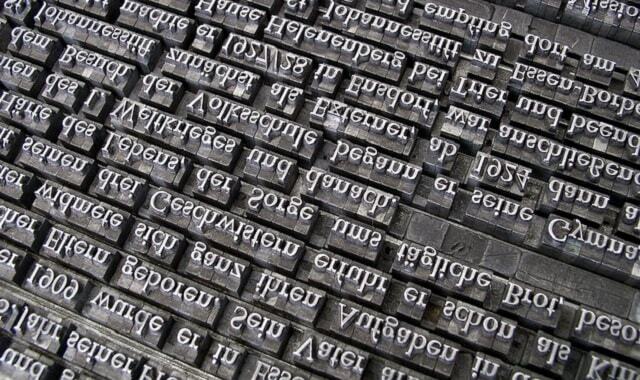 You’ve conquered one of the longest words in English. Nothing is impossible when you have a possible solution! Of course, to master this tool, you need time to practice, especially the ability to associate quickly and making funny stories. Now, let’s practice with some words below before moving to the other longest words in the world. Some practices before moving to other longest words in the world. Below words are drug names, so they are not easy to remember. Just try to do it yourself, then compare to my ideas below. Here are my ideas to remember them. Timolol – Timo LOL ~ Time Laugh aloud ~ Imagine a clock using an Eye drops solution then it laughs aloud all day! Note: The ability to recall a word after a long time without review, depends on how remarkable is your story made by SAMA process. But remember this, no matter how impressive your story is, your brain tends to forget everything within a week, so if you want to recall it, you should do the review after one week and one month. Now the longest words in the world!!!! 27 letters and we’ve conquered it! This is the longest word in Shakespeare\’s works; longest word in the English language featuring alternating consonants and vowels. 28 letters. This word originally described opposition to the disestablishment of the Church of England, but now it may refer to any opposition to withdrawing government support of a particular church or religion. 29 letters. This word is the estimation of something as valueless. 30 letters. It is a mild form of inherited pseudohypoparathyroidism that simulates the symptoms of the disorder but isn’t associated with abnormal levels of calcium and phosphorus in the blood. 45 letters. A lung disease caused by silica dust. It is considered the longest word in English. This 52-letter word was engendered by Dr. Edward Strother in order to describe spa waters of Bath, England in a single word. 59 letters. A large village in Wales, UK It is also known by its shorter-version names: Llanfair PG or Llanfairpwllgwyngyll. 65 letters. A German word meaning “law delegating beef label monitoring.” It is actually no longer a word, made obsolete last year when the laws changed. 171 letters. This word, which shan’t be uttered twice, is a transliteration of a word coined by Greek author Aristophanes in his comic play Assemblywomen. If you need some more challenge words, you can refer to the book below. 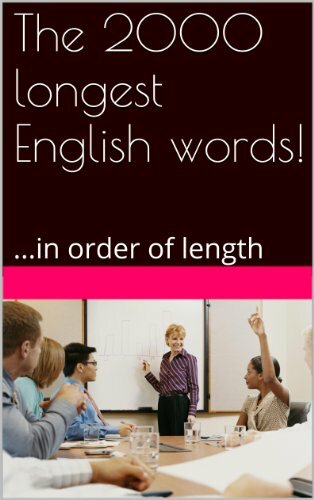 This book lists the 2000 longest English words in order of length, from the longest to the least long, that has only 15 letters i.e. “subminiaturized”. You can take a look it it here. You can memorize anything you like, if you have proper method. Remember 4 steps of SAMA. Split it into smaller parts if it\’s too long. Associate each part with something easier to remember. Make a funny story to memorize all of them easily. Then check it, again and again. Do you know any other way to memorize them? Please comment. See you with good news! P.s. Nếu thấy thông tin trên bổ ích, hãy like/share để "tài trợ" tinh thần cho Fususu tiếp tục cống hiến. Nếu bạn muốn mời Fususu làm diễn giả hoặc tới giao lưu, hãy đọc bài viết này. Hi, I'm Phuong, and I'm from Vietnam. I used to have a bad memory, but now I can memorize long numbers up to 512 digits. I'm an introvert, but now I can present in front of hundreds of people. I used to be bad at writing, but now I have 4 published books. I believe that "Everything is possible, with a possible solution". My recent goal is make English my "father-tongue", that is why I created this blog. So if you see any mistake, don't hesitate, just comment! Touch here to try my apps! để lan toả giá trị tốt đẹp này nhé!